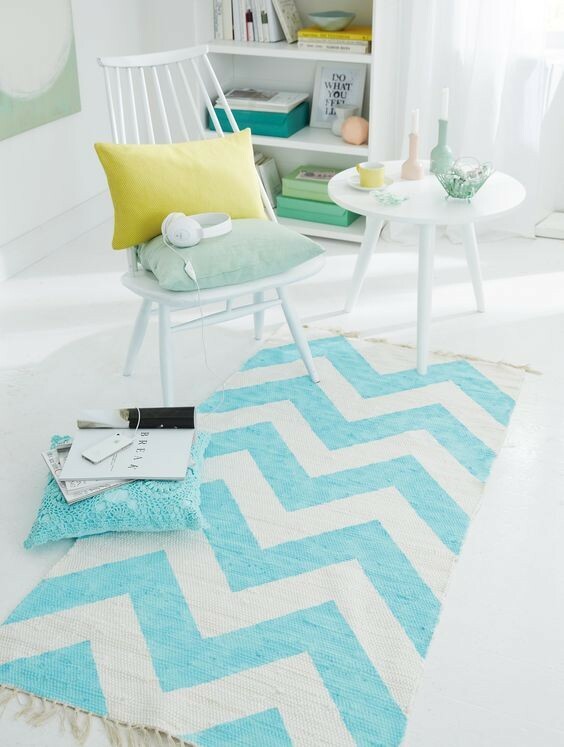 Zigzag is one of the trendiest and most popular patterns in the world of contemporary design. Being simple and laconic on the one hand, its jagged line has some powerful energy and dynamics as well. Zigzag prints not just decorate interiors – they are able to change their mood completely: make them livelier, more expressive and sensible. For those of you who also share our fascination with zigzags we prepared a special workshop that will explain step-by-step how to transfer this iconic pattern to a common monochrome rug. Following these instructions, you will become a happy owner of such a stylish piece of interior decor. The most popular are bi-color zigzag patterns: black and white, yellow and white, blue and white. Such contrasting color combinations make it easier to perceive this print visually, make it more readable. 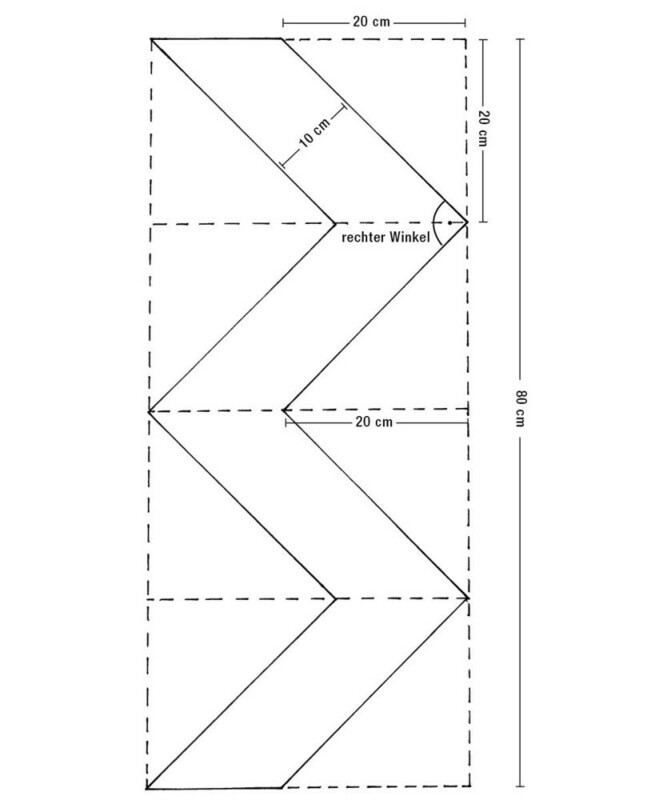 Print the template, outline it on a piece of thick paper and cut out. This will be your stencil. 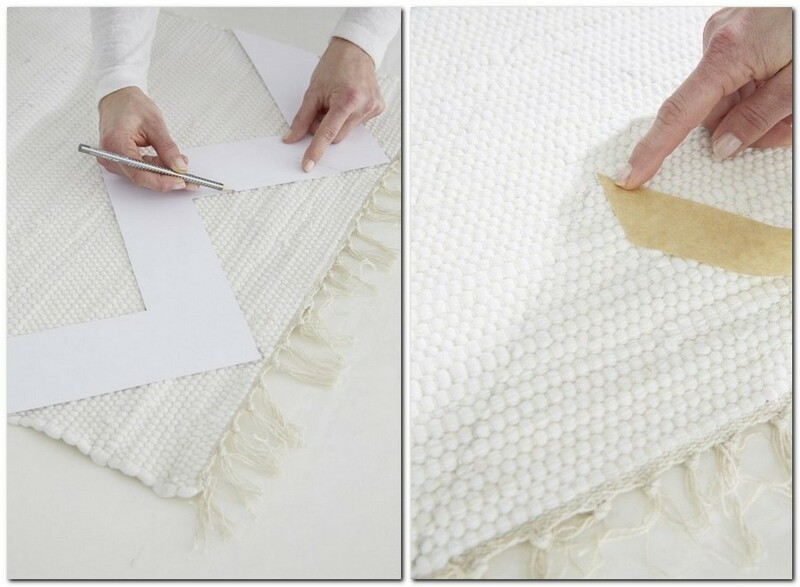 Press it to the rug and outline with a pencil. Then drop it down so that the top of the stencil was right next to the bottom line of the already-made zigzag. Outline the bottom part of the template. 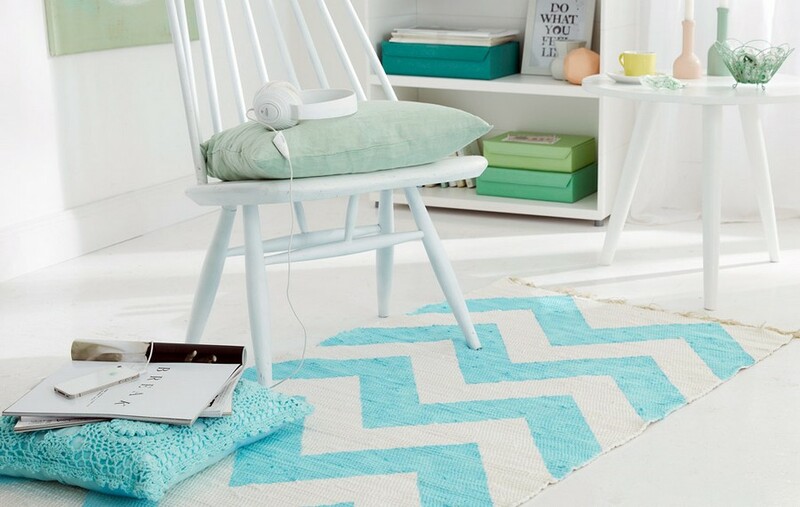 Repeat these steps until the entire rug is finished with zigzags. Stick the painter’s tape to the external perimeter of every other zigzag to apply the paint accurately. Now paint every other zigzag (framed with a painter’s tape) with the help of a paintbrush. Upon the completion carefully remove the tape. That’s it! Now you should just wait till the paint dries off completely and your new trendy rug will be ready to refresh your home!